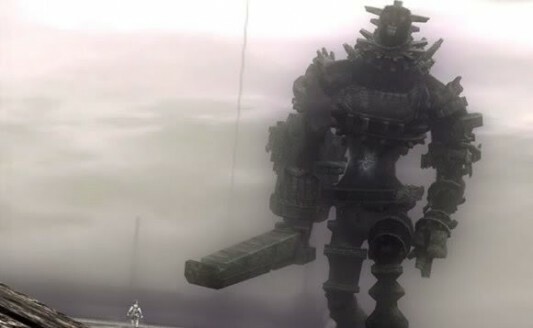 We’ve heard rumblings of a movie based on the beloved boss fights-only PlayStation 2 game, Shadow of the Colossus, in the past. It’s been three years since the last time, which was only news that Sony was developing the project with Justin Marks writing a script. That attempt clearly didn’t transpire quite as well as hoped, and now another shot at turning Colossus into a movie is underway. It’s being reported that the increasingly popular Josh Trank has been grabbed by Sony to develop the movie, which he will also direct if/when it ever gets the greenlight to go into production. He’ll also be finding a new writer to work with on a new script. Trank made a huge impact with his feature film directorial debut, Chronicle, the found footage movie about a group of friends who obtain superpowers. The movie only cost $12 million to make and brought back $124.4 million worldwide, so you can see why studios are hot on hiring him. Trank was said to be chatted with about taking on the Fantastic Four reboot, and he was also in talks with Sony to direct their Spider-Man spinoff, Venom. Whether he’ll direct Venom or not remains to be seen, but clearly he impressed Sony enough to give him the chance to bring Shadow of the Colossus to life. And, as always, if you have not played this game yet it should jump to the top of your list. There’s a great HD collection out on PS3 right now you can rent or buy. I suggest you buy; trust me when I say you’ll want to play again, and it’s worth every penny. What do you want to see in a Shadow of the Colossus movie (if you want to see it at all)? Do you like Trank as the man for the job?